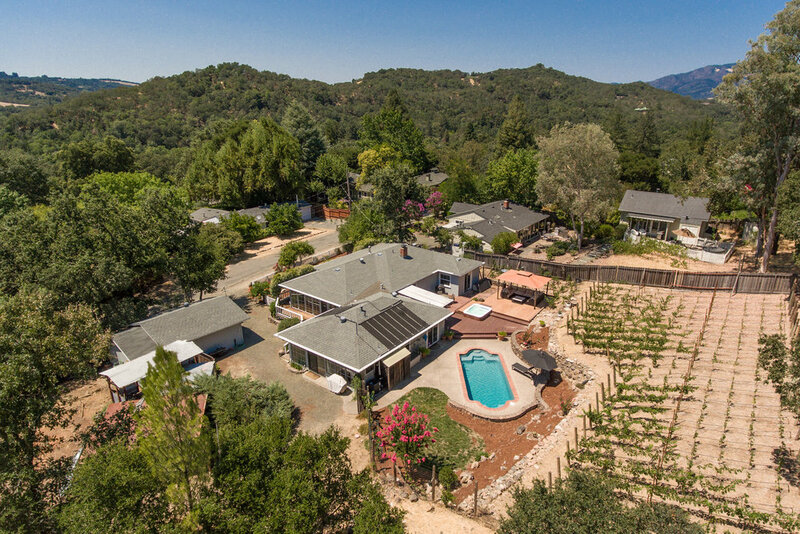 Quaint Glen Ellen retreat with hobby vineyard, pool, hot tub, wrap around porch, and attached in-law unit. Double sized lot has detached garage, towering oaks and room for gardens and expansion. Main part of house has two bedrooms and one and a half baths, in law has a bedroom, bath and kitchen area. Perfect for indoor and outdoor entertaining. The spacious dining room is bright, and an ideal spot for family gatherings. New central heating and A/C. Very private setting just minutes from downtown Glen Ellen. 3 Beds | 3 Baths | 2,250 sq. ft.